What better way to celebrate life in all its charm, chaos and occasional confusion than with a riotous celebration of colour. 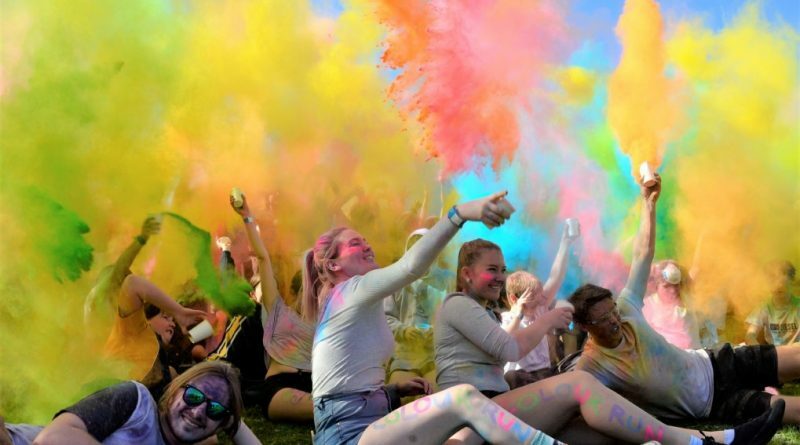 And so it was at Castlemaine Secondary College on Thursday when staff and students took time out beneath a perfect blue sky to participate in the annual Colour Run. 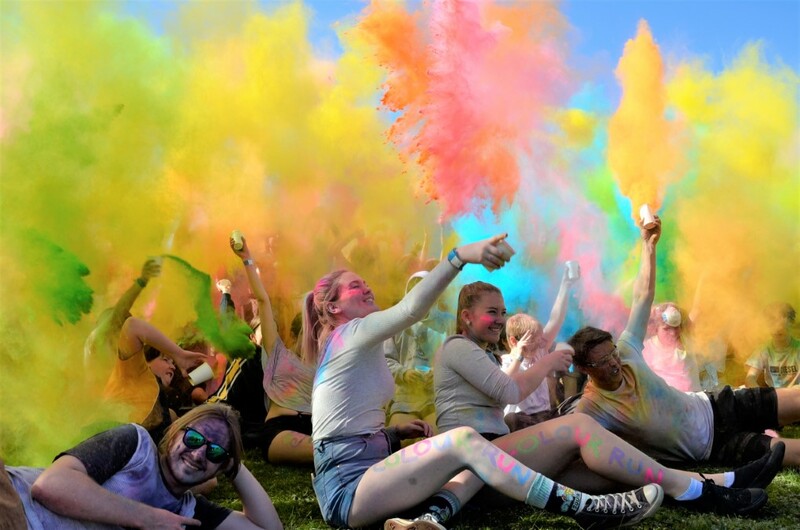 First up, a brisk jog around the oval where the 200 or so participating students across all year levels were generously doused in colour at various points along the way. Next – shades, durable clothes, and in some cases swimming goggles, were the order of the day as the full spectrum in powdered form was unleashed to explosive technicolour effect. When the swirling dust settled it was apparent that participants were thoroughly enjoying the multicoloured occasion – which was, after all, the main aim. “Today is one of the major events for mental health week for us for 2018,” lead teacher of wellbeing Judith McLean explained, as the Midland Express wiped carnival-coloured residue from personal attire and various other bodily parts. “The focus is learning how to take care of ourselves and enjoy life so we started with a nice long run around the oval and the colour stations,” Judith said. “It’s an opt-in event and we’ve got about 200 kids participating from year seven to 12. We’re holding lots of events for Mental Health week including talent quests and this is the second time we’ve had the Colour Run as part of Mental Health Week. While the local college held its own Mental Health Week last week – to fit in with its curriculum demands – in Victoria, Mental Health Month spans October 7 to November 7 with a raft of special events and activities happening locally during statewide Mental Health Week over October 6-14. These range from creative arts for health and wellbeing to a local mental health education session and free Healing Well sessions with full details available at www.cch.org.au/mentalhealthweek. 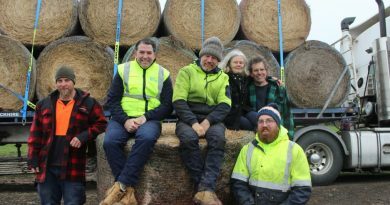 Loading the hay on Friday were James Worth, International Racehorse Transport managing director Chris Burke, Central Land Management Services' Andrew Scanlon, Jake Sutherland, Ray Saunders and Laverne Saunders. 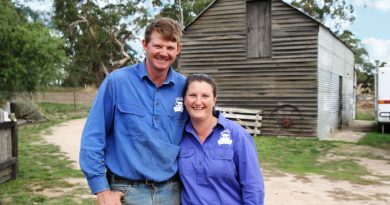 McIvor Farm Foods' Jason and Belinda Hagan specialise in pasture-raised, ethically grown, old breed of pigs. 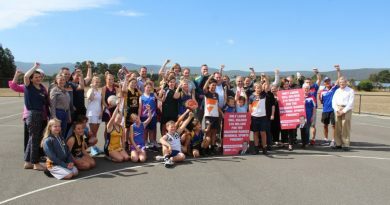 An excited crowd welcomed Labor's promise of $10M towards stages one and two of the Macedon Ranges Regional Sports Precinct.